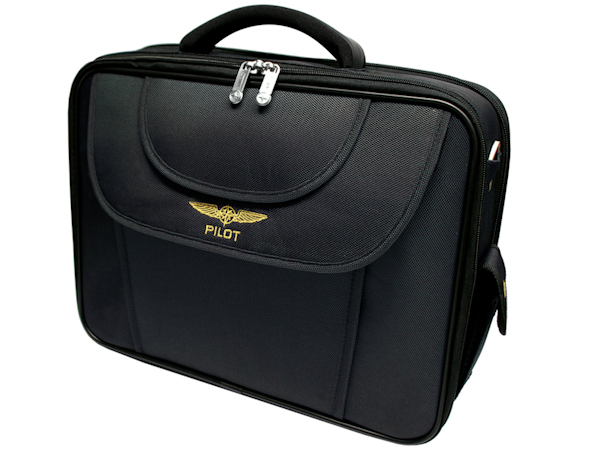 The pilot bag DAILY was re-designed to keep up with pilots’ demands. It now covers everyone’s needs from the student pilot to the professional. The well designed and universally utilizable bag with its many pockets can be used on a daily basis. The bag is made of strong and water-resistant Nylon and has an all-around padding. A strong shoulder strap with metal buckles is also included. The specially reinforced frame and robust handle gives the bag stability. 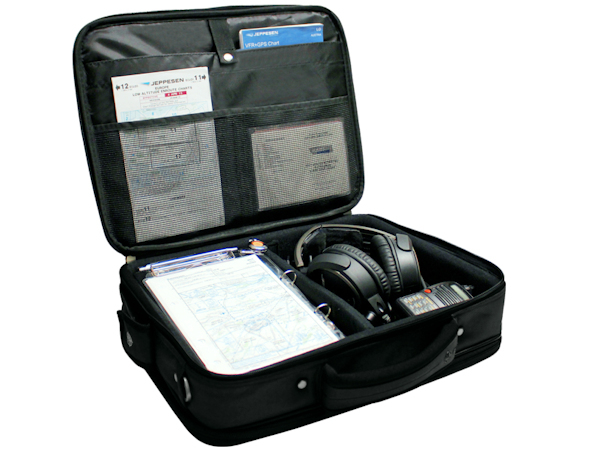 The large main compartment can be used in different ways: you will find plenty of room to store your headset, kneeboard, maps etc. On the side there is an additional compartment for a mobile phone. The front of the bag provides you with two compartments for quick access to special holders for pens, batteries, keys and business cards. On the backside there are various compartments for maps, flight plans, charts and a trolley strap.